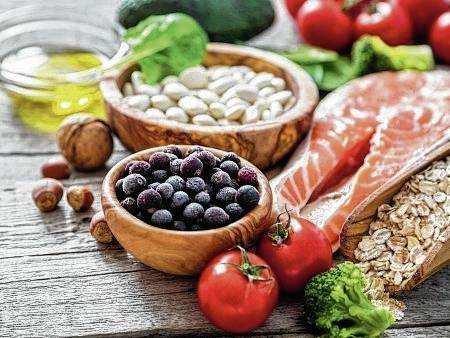 Experts say that fruits and vegetables, foods rich in monounsaturated fats such as olive oil and avocados, lean meats rich in iron and foods rich in complex carbs, such as whole grains and legumes, are healthy choices for women preparing to become pregnant. Question: I want to have children at some point in the near future. My mom says that the types of foods both my husband and I eat could help impact my chances of conceiving. Is that true? Answer: It’s well-known that eating healthy, incorporating plenty of exercise into your normal routine and maintaining a healthy weight contributes to your overall health and well-being. And, according to the Academy of Nutrition and Dietetics, nutrition and a healthy body weight for both partners can have a significant impact on the ability to conceive. The issue is significant for many people, considering that some 10 percent of the population is impacted by infertility, according to the American Society for Reproductive Medicine. And for women who are overweight, losing as little as 5 to 10 percent of their weight could improve fertility, according to researchers with the National Institutes of Health. Following an overall healthy lifestyle, including eating a nutritious diet, limiting or eliminating alcohol and caffeine and getting regular physical activity, is especially important for women who wish to become pregnant. Achieving a healthy weight before conception also reduces risks for both mother and child. Be sure to talk with your doctor about these issues and potentially any others if you’re experiencing problems becoming pregnant.